The Holy Prepuce, also known as The Holy Foreskin, is… Christ’s foreskin. Really, that shouldn’t need much in the way of an explanation. The New Testament includes the story of Christ’s circumcision, but what actually happened to the foreskin (because that’s something readers need to know, clearly) has become an apocryphal text. Essentially the foreskin is kept in oil in an alabaster box. There you go. Though logic would tell you that you can only have one foreskin of Christ, anyone with even a passing knowledge of religious relics will tell you that, much like a potato chip, you can’t have just one. Since the Middle Ages holy foreskins have been claimed by as many as eighteen different churches, and that’s just in Europe. Each prepuce is alleged to have miraculous powers. The most famous of these foreskins was looted during the Sack of Rome. The thieving soldier was caught and arrested but managed to keep the alabaster box hidden on his person and later in his cell. It was believed to be the cause of freak storms and a perfumed fog that would descend on nearby villages. Despite their vast numbers, most (if not all) holy prepuces have been lost. The last time one was seen in public was a 1983 procession on the Feast of the Circumcision, but it was eventually stolen by thieves. 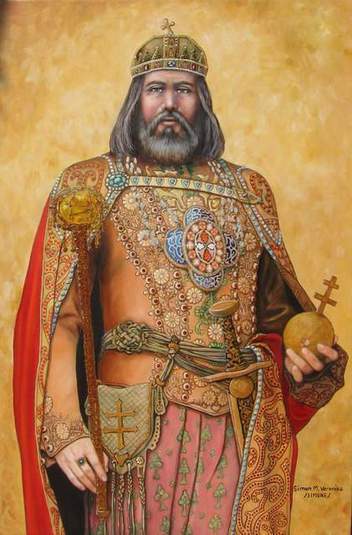 Hungarian history lesson: the country’s first king was a guy named Istvan. He brought Christianity to the (then) Pagan masses of Hungary, so right off the bat he’s already in with the God crowd. 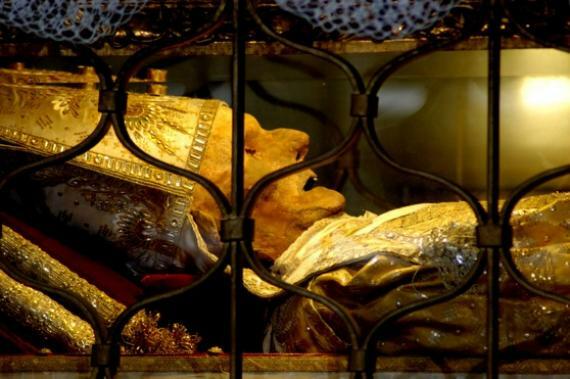 After Istvan’s death people began reporting that his tomb had miraculous healing powers, making him ripe for canonization (one of the requirements for Sainthood is performing miracles after death). To continue the process his body was dug up and it was discovered that his right arm hadn’t decayed with the rest of his body. Boom, relic. On his death bed Istvan held the Holy Crown in his right hand and asked the Virgin Mary to watch over the people of Hungary, and the arm’s refusal to decay is seen as her accepting his offer. As with all good body parts, the arm was lopped off and divided amongst European royalty. The hand itself was stolen many times but returned to Hungry after World War II. Only the hand and a few bone fragments remain today, and the hand is currently available for view at St. Stephen’s Basilica. 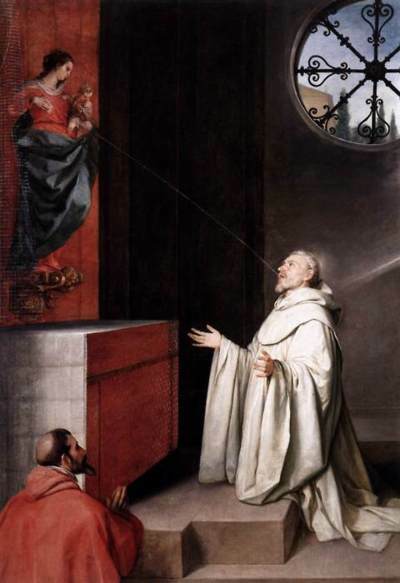 There is, oddly enough, a deep history to the Virgin Mary’s breast milk. Saint Bernard, who was devoted to Mary, was said to have approached a statue of her and told it to prove she was a mother. The statue came to life and squirted milk into or onto him, depending the story being told (one has the milk squirting into his eye and curing an ailment). A church called the Church of Milk Grotto was built on a stone outside Bethlehem that locals claimed Mary breast fed Jesus on, spilling some of the milk and turning the stone completely white. For those of you who aren’t impressed with lopping off a guy’s arm, consider the following story. 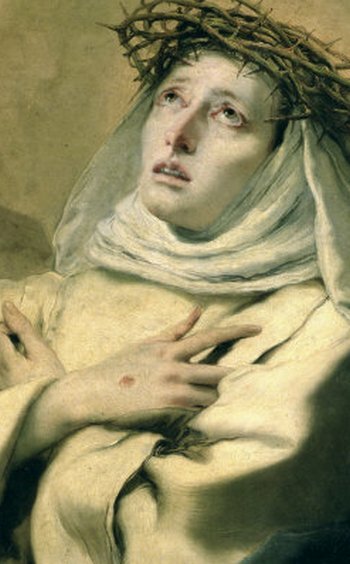 Catherine of Siena led an incredibly pious life, even by the standards of most saints. After having her first vision of Christ at the age of seven, she took a vow of celibacy and went through great extremes to keep it. When her family arranged for her marriage, she managed to dodge the bullet by cutting off all her hair and scalding her head with hot water. She claimed that she was married to Jesus and had a ring made of his foreskin that only she could see. That’s devotion. Her dedication made her popular in her home, so when she died in 1380 in Rome the people of Siena kindly asked for the body. When they were denied a group of people decided “Whatever, let’s dig up the corpse.” Things were going smoothly up until they actually dug up the body and someone realized there was no way to reasonably conceal a corpse. So they chopped off her head and stuffed it in a bag. When they were inevitably stopped by a Roman guard, they opened the bag only to find it contained rose pedals. After returning home the pedals turned back into a head. 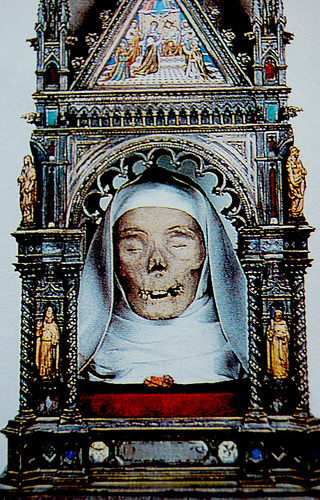 You can see the mummified head of Catherine at the San Domenico Basilica in Siena where it resides with her thumb. That’s the body of Saint Antoninus, super-corpse. During his life he lived with only the bare essentials, making him popular throughout his native Florence. He was liked so much that Pope Eugene IV offered to make him an Archbishop. Antoninus, ever humble, declined up to the point where Eugene threatened to excommunicate him if he refused. After his death in 1459, his body, which had yet to be embalmed, was left exposed for eight days. It didn’t decompose, and in light of this miracle it was placed in a glass coffin for all to see. It can currently be viewed at the Church of San Marco in Florence.